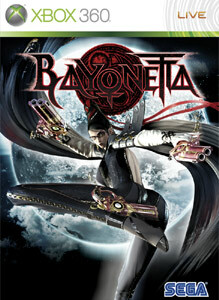 The Bayonetta Demo is now available for all to check out on Xbox Live, and it's actually pretty good. The action is very similar to Devil may Cry, which seems alright since these guys made that game, and it has some pretty over the top moves that you can pull off. So check it out and maybe you'll like it too! "From the creative geniuses behind Devil May Cry and Resident Evil comes Bayonetta™, a game of 100% pure, unadulterated, climatic action. With powers far beyond the comprehension of mere mortals, our heroine Bayonetta fights countless enemies, evil forces and giant foes in brutal yet graceful ways. Being bad never felt so good..."